Long time, no see. I’ve been working on a bunch of recipes to start posting here (currently tweaking and refining), so hopefully you’ll be seeing more of me. In the meantime, I’ve been working on something else too. I realized I’ve had a problem: good vegan merch is hard to come by. It always takes a lot of digging to find decent vegan T shirts and workout tanks, and they’re usually really overpriced. So I decided I’d try to help fix the problem myself by making my own! 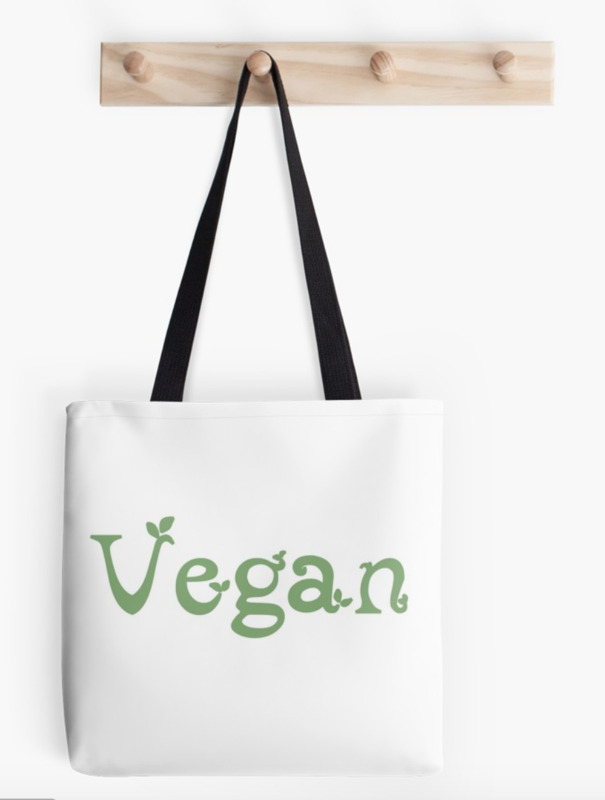 As of yesterday I’ve been uploading my own designs (mostly vegan themed) to Redbubble, where people can buy them as shirts, stickers, mugs, totes, pillows, phone and laptop cases, pretty much everything. The prices still aren’t as low as I’d like them (and they vary wildly by shirt style), even though I lowered the default markup (aka I lowered the percent of money I get), but it’s better than most stuff I’ve seen. I’m planning to upload a ton more, and I’m sure I’ll learn as I go, so stay tuned!